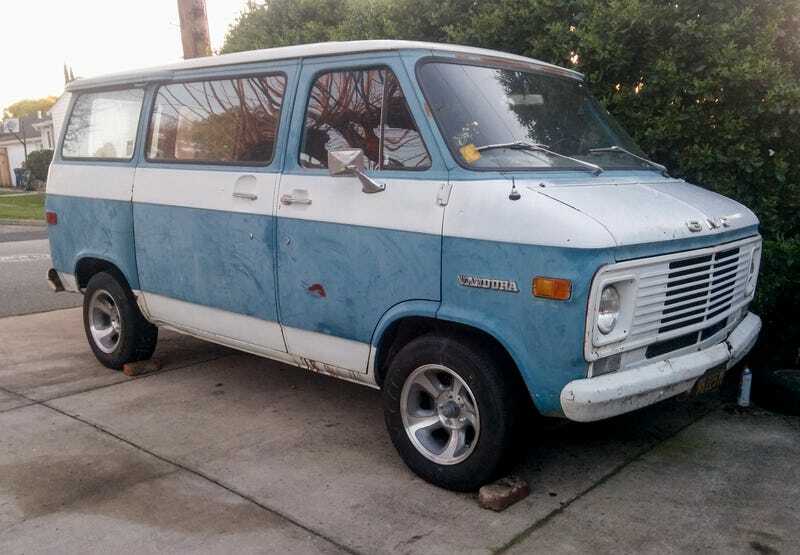 This is Rusty, the 1971 GMC Vandura. 80,000 original miles and I am the second owner. Rusty has some surface rust. I am a million years, if ever, from getting a full paint job for this van. Barkeeper’s Friend, maybe, but that’s it. You can see the surface rust above the windshield. If I had a windshield guy remove the windshield and the rubber seal, I could sandblast that area down to clean metal, then use rattle can primer and a top coat of something in the ball park color wise, and replace the windshield with a fresh rubber seal. Does that sound like a solid plan?